Margaret Fago, Board President and Executive Director. Ms. Fago is a full-time watercolor artist. She has been a past member of two co-op galleries, Gallery Concord and Point Richmond Art Collective. Prior to that, she was a partner in Hogin Sails, working as a Sailmaker and boat canvas designer. She is a past treasurer, programs director and gallery marketing director for California Watercolor Association. She teaches watercolor painting and drawing at the FB Center and volunteers at a local yacht club on the race committee. To fulfill and build upon Frank Bette's legacy to maintain "a place for meetings, readings, showings, and other creative doings." We build upon this legacy by nurturing a space where fine arts, crafts, and literary and music arts meet and thrive. Ashok Katdare, Administrative Director: After noticing a call for volunteers in the Alameda Sun, Ashok volunteered his time at the FBCA. Since that time, he has been busy welcoming visitors, and becoming a docent for the Alameda Legacy Home Tour last September. Ashok has always been interested in art, history, museums, music, and especially architecture. This is also apparent in the list of organizations he devotes time to: The Berkeley Art Center, Frank Bette Center for the Arts, and the library of the American Conservatory Theater in San Francisco and Oakland Ballet. Originally from Mombai, India, Ashok came to the US in 1975. His move to Alameda was in February, 2017. ”I love the pace of life in Alameda,” he notes, ”suitable for retired life.” Retirement began about two years ago after a career in management of science. Creativity, community, supportive relationships, quality, collaboration, growth, education, beauty, knowledge, insight, expansion, and productivity. Mark Schwabl, Finance Director: Now retired, Mark’s career was spent in For Profit and Non Profit companies inCEO and CFO positions. My appreciation for the Arts, and Frank Bette Center’s active Arts Mission in the community, is a good match of Mission and available Volunteer time. Other time is spent in reading American Presidential biographies and English Political History with Emphasis on the 20th Century. 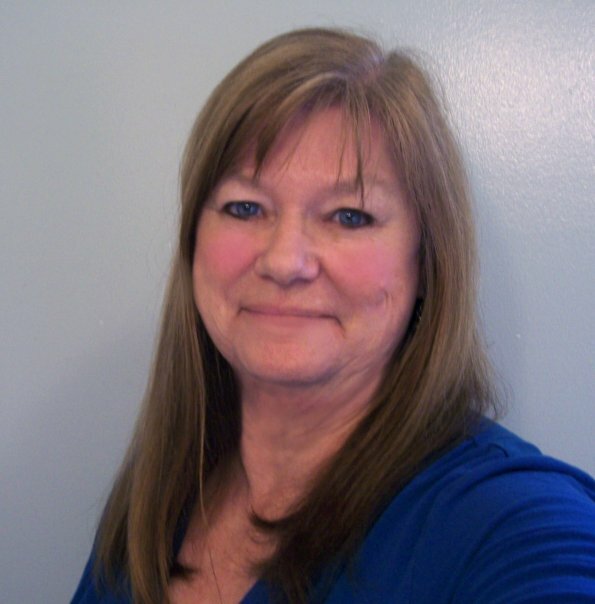 Maryanne Mock Membership Director: Maryanne is a retired psychiatric social worker. During the last 22 years of her career, she was the Program Director for a Child and Family Therapy Center in San Francisco's Public Health. She now pursues drawing, watercolor painting and jewelry making, and enjoys yoga, bike riding , reading, and traveling. Maryanne is happy to be part of the FBCA community and hopes many others will join. Amy Patick, Development Director: A scientist by training, Amy is an accomplished executive with 25 years of Research and Development experience within the biotechnology and pharmaceutical industries. Amy is widely recognized as a leader in scientific and academic communities and is currently working with various biotechnology companies as a pharmaceutical and scientific consultant. As the former President for the nonprofit International Society for Antiviral Research, Amy has founded the Women in Science initiative where she currently chairs a committee, organizes an annual roundtable and manages a scholarship fund for women scientists. As a former wood carver and custom wood furniture maker, Amy has also dabbled in stain glass and is currently focusing on Smartphone photography. Amy is very excited to become part of the Frank Bette Center for the Arts and is eager to help build upon his legacy. Kris Warrenburg, Communications Director. Kris Warrenburg has been drawing and painting since childhood, so it’s not surprising she is a graphic designer by trade. She has worked with magazines, book publishers and ad agencies throughout her career. A native Californian, she has exhibited on both coasts. After having resided in East Hampton for 15 years, where she served on the board of the Artists Alliance of East Hampton, she recently returned to California. Primarily a watercolorist who has branched out into acrylics, photography and mixed media “heARTwork.” Kris is inspired by the landscapes, water and light of the Hamptons and Alameda. Her artwork reflects a desire to find peace and evoke it in her audience. Facilities Director: (Position Open) Oversees all interior and exterior building maintenance activities related to the Frank Bette Center. Coordinates with other Directors to ensure that the building meets federal, state, and city regulatory codes for commercial buildings. Participates as an active member of the Board of Directors in strategic planning and governance of the center. Download complete description. Application. Directions for Application. Ros Harper, Gallery Director. After two years as Gallery Minder, Ros now serves as Gallery Director. Formerly a registered nurse, Ros worked in critical care, education, hospital administration, and education. She set up and managed the Clinical Quality program for the Northern California Kaiser Permanente Appointment and Advice Call Centers. An avid wood carver and woodturner, Ros teaches at the Mt.Diablo Woodturning Center in Pleasant Hill. She is a past president of the Bay Area Woodturners. "I see the gallery through the eyes and I want to hear your views and ideas - particularly about how to create and maintain a vibrant environment focused on the best interests of our artists."